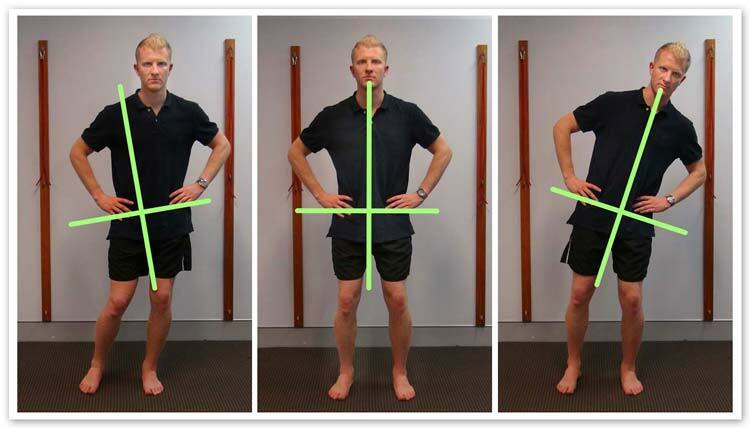 Whether you are a walker, a runner, footballer or even a belly-dancer, everyone needs good hip stability to be able to perform their sport (or their art) with optimum control. Poor stability around the hip joint can lead to problems such as trochanteric bursitis, lower back pain, sciatic pain and groin injuries. If you have one of these problems it is possible that you have weakness and poor control of the deep muscles of your hip joint. Hip stability is achieved by having not only strength of the big gluteal muscles that make up the bulk of your buttocks but also good timing of activation and control of the deeper muscles of the hip joint. These deep muscles are responsible for stabilising the hip joint during movement to allow the larger gluteal muscles to move your hip with better joint alignment. 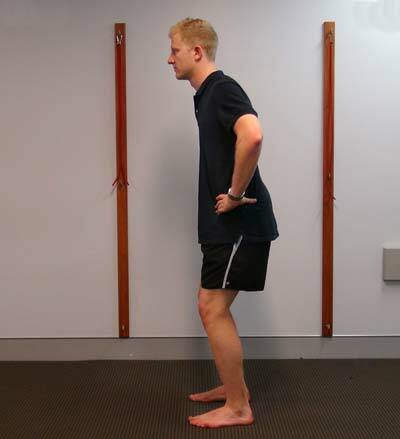 1) Stand in front of a mirror with your knees slightly bent (around 30 degrees) and your pelvis tilted forwards. Now place your hands on your hips to feel the muscles just behind your hip with your thumbs and your abdomen with fingertips. 2) Gently transfer your weight to one side, aiming to keep your knee, hip and shoulder aligned on the side that you are leaning toward e.g. your hips stay level with the ground. Hold for a few seconds then transfer your weight to the other foot, again keeping your hips level. If you have good stability you should be able to do this and maintain alignment of your hips, knees and shoulders, as shown in the animated image on the left, and you will feel the muscles activate strongly. If you have poor stability you will find it hard to keep your balance and you may see your hips drop or your shoulders sway too far out to the side, as shown below. Practicing this simple movement daily can help to improve the stability of your hip joint. Keep it up! Remember; stable hips are happy hips!